This species from south-east Asia is one of the few tropical trees in the genus. There is a plant growing near DB 1 carpark entrance. 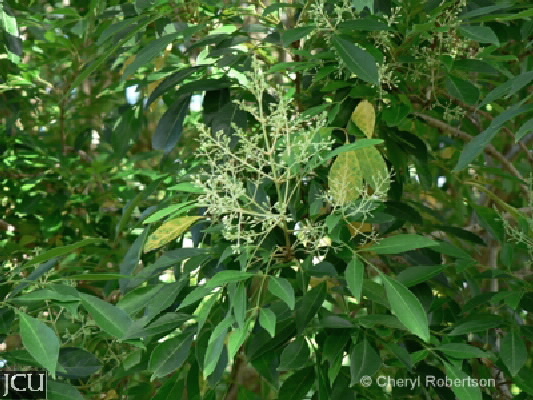 It has mottled green and cream bark and pinnate leaves with 5-7 leaflets which are green above and silvery below. The small fragrant flowers with 4 white petals are borne in erect panicles on the outside of the leaves. These are followed by clusters of small, winged fruit to about 4 cm long. These fruits often have a pink tinge when mature. Flowering February to March. Good wind resistance.